Leviton Solid core sub-metering current transformer kit is ideal for achieving all measurements and verification, such as smart metering and LED rating. Transformer secondary wires are connected to the meter, facilitating power and energy calculations. 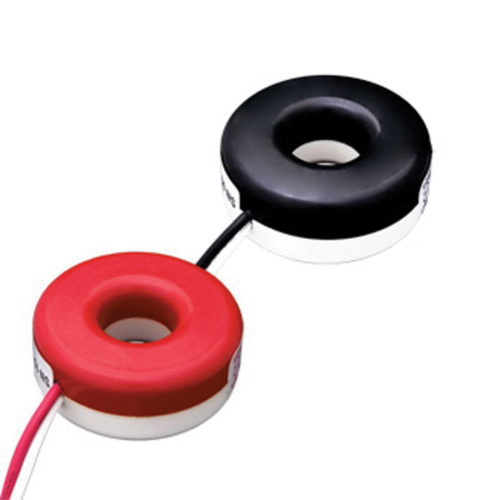 The transformer in red/black color has a dimension of 0.67-Inch. It takes 200-Amp of input current and yields 0.1-Amp output current. Transformer with round housing, gives an accuracy of +/-0.3 %. Kit is suitable for commercial, institutional, industrial and government applications. Kit is UL listed and meets Title 24, ASHRAE 90.1 standards.